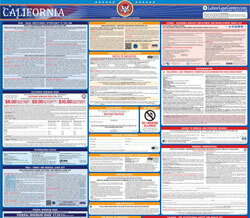 The Access to Medical and Exposure Records (Spanish) is a job safety law poster by the California Department Of Industrial Relations. This poster is mandatory for some employers, including all employers using hazardous or toxic substances. This poster, written in Spanish, must be posted in a conspicuous place where all employees will see it in any industry that causes exposure to harmful or even toxic materials. This poster describes where to access medical records of employees. It appears you don't have a PDF plugin for this browser. Please see the link below to download california-access-sp.pdf. tóxicas o agentes físicos dañinos. condiciones de trabajo similares a las suyas. cualquier método similar que haya elegido el empleador.